The Evening Standard announcement of its Future London campaign, June 10. The London Evening Standard has now launched a controversial campaign funded by a £3 million deal with six major companies that were promised “money can’t buy” news coverage. The newly announced partners for the project include healthcare firm Babylon, whose CEO previously headed a company criticised for delivering inadequate patient care at a NHS hospital which it managed until 2015. Source London, another of the partners involved, is owned by Bolloré Group, a French conglomerate that have sought to suppress criticism of its operations by suing dozens of journalists. The project, now called Future London, was initially delayed after openDemocracy revealed that the six companies, which include Uber and Google, were offered “favourable” coverage in the pages of the Standard over a two-year period, in what quickly became known as a “cash-for-column inches scandal”. George Osborne, the editor of the Standard and former UK chancellor, faced calls to resign over the deal, which would have swept away the ethical dividing line between independent editorial and advertising. The atmosphere inside the newsroom after openDemocracy revealed details of the lucrative plan was described by insiders as “febrile”, with a spokesperson denying that the companies had ever been offered “favourable” coverage as part of the deal. The Evening Standard also denied that the project had been delayed as a result of openDemocracy’s reporting. On Tuesday, the Evening Standard launched the project, with the names and logos of all the companies involved clearly labelled. In addition to Google, Uber, Babylon and Source London, the other companies involved are the hospitality group Edwardian Hotels and Bee Midtown, which represents 320 central London businesses. The involvement of private healthcare firm Babylon, which has worked with the NHS on a new smartphone app which offers GP consultation remotely, will raise eyebrows. The commercial outfit is headed up by ex-Goldman Sachs banker Ali Parsa. Parsa was previously a chief executive at Circle, the company at the centre of a failed experiment to privatise the management of Hinchingbrooke Hospital near Cambridge, which resulted in compromised patient care and a costly bill for the taxpayer. Babylon is sponsoring the health initiative of the Future London campaign, a project aimed at creating a “new dimension in healthcare” through the “wide use of data and technology”. The first of the Standard’s Future London supplements is dedicated to clean air and sponsored by Source London, who operate over 850 electric car charging points in the capital. The network is owned by French conglomerate Bolloré who have a track record of attempting to silence coverage of their activities through lawsuits. Together with palm oil company Socfin, which it part owns, Bolloré have launched 20 defamation suits against 40 journalists, NGOs and media organisations since 2009. In March, Socfin lost a libel suit against NGOs and French media outlets, over reporting of protests against the company. In April, a French judge placed Bolloré CEO and chairman Vincent Bolloré under investigation over allegations that his companies helped the presidents of two African nations gain power in exchange for lucrative business contracts. Bolloré deny the allegations. Source London has been approached for comment but has yet to respond. 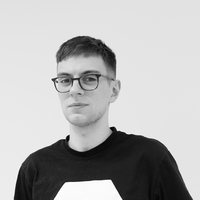 Under the Standard’s lucrative Future London deal, sources have told openDemocracy that the companies involved were initially promised advertorial pages as well as “money-can’t-buy” positive news and “favourable” comment pieces that will appear to readers as routine, independently written editorial. 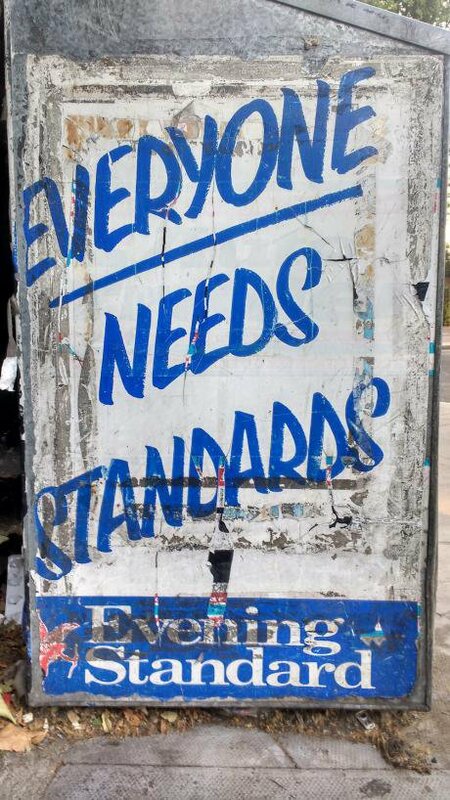 An advertising board for the Evening Standard featuring their slogan "Everyone Needs Standards". Image: Matt Linares. Both Uber and Google are understood to have paid half a million pounds each to be involved. The international taxi-firm app was recently granted a 15-month probationary licence to operate in London after previously being ruled not “fit and proper” by Transport for London. The Evening Standard has previously come under fire for not declaring Osborne’s £650,000-a-year part time job with the fund managers BlackRock, who hold a £500m stake in Uber. The global tech giant, Google, still recovering from reputational damage over its low UK tax bills and criticism over its close relationship to the Cameron-Osborne government, also signed up. 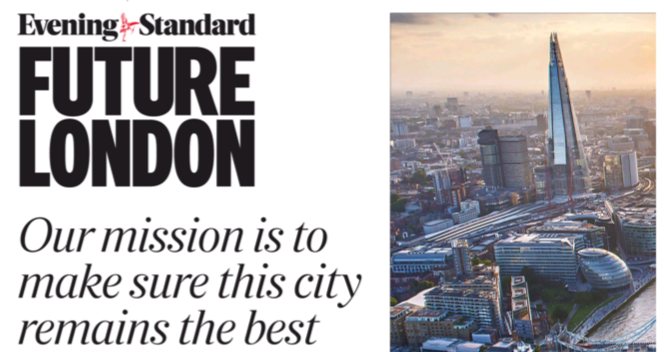 In the editorial accompanying the Tuesday launch of Future London, the Evening Standard said: “Working with businesses as advertisers and sponsors is what enables us to employ world-class journalists, and provide almost two million of you every day with a great newspaper — entirely for free.